ELIZABETH CITY, NC - Commence the face-melting, the 2016 Corvette Z06 will be on its way to Perry Auto Group soon! Is this the world's BEST sports car? Many auto industry-insiders believe it is! This vehicle launches itself into a category above Ferrari AND Lamborghini, while declaring to the world, "Don't mess with American muscle!" 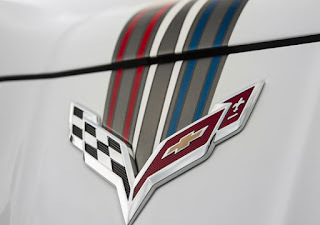 With a 0-60 mph time of 2.95 seconds– quicker than the amount of time it takes between rings on your cell phone– this car is horrifically fast, however, there is nothing at all terrifying about Chevy's 650-horsepower super car. The beautiful sports car impresses at every turn, whether you are just walking up to it, accelerating the throttle, turning or engaging the brakes. The engineers and technicians at General Motors have truly outdone themselves this time! The 2016 Corvette Z06 not only flat-out OUTPERFORMS the Aston Martin DB9 Volante, Audi R8 Quattro V10 Spyder, Bentley Continental GT Speed, BMW M6, Ferrari California, Lamborghini Aventador, Mercedes SL65 AMG and Porsche 911 S turbo, but it comes in at anywhere between $30,000 to $100,000 LESS than these vehicles! 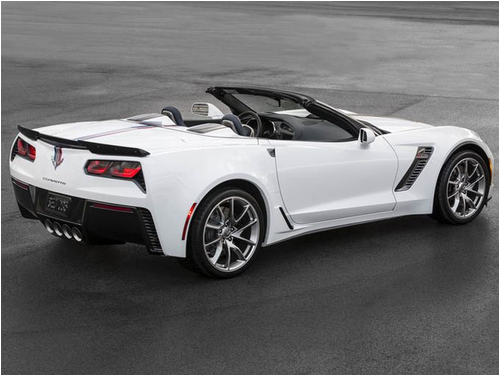 The '16 Z06 also out-accelerates and has more horsepower than any of these sports cars. The Z06 Corvette Convertible comes with a 6.2L supercharged V8 engine, which puts out 650 pound-feet of torque and 650 horsepower. The engine comes in either a seven-speed manual or eight-speed automatic transmission, and delivers game-changing power with a lovely sound. Reports state that the seven-speed manual is smooth with a light shifter and clutch effort, and short throws. Informative indicators in the heads-up display show what gear you are in.